Craig Burston is Course Leader on BA (Hons) Graphic and Media Design at London College of Communication. 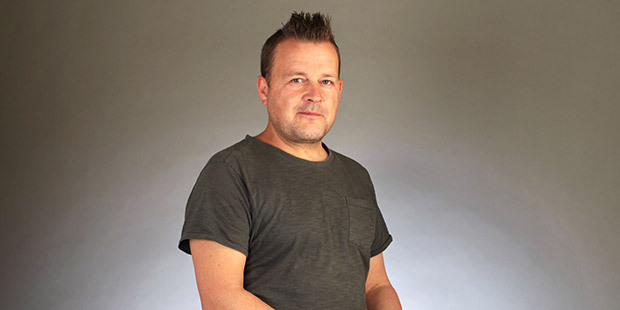 Craig has worked in graphic design higher education for sixteen years in a number of art and design institutions in the UK as a visiting practicing designer, studio tutor, dissertation supervisor, and senior lecturer. He has taught at post-16, undergraduate and post-graduate level and for eight years as a course leader. His teaching emphasis focuses on the practical testing and application of semiotic theory, the interplay between analogue and digital media and the impact of new technologies upon aesthetics. His ongoing practice based research explores the relationship between iconic representation, memory and communication and has manifested itself through a range of output including audio-visual collaborations, gallery installations, research seminars and comic strips. Commercial clients include Channel 4, Mother and Arts Council of England. Other work continues in partnership with Pre-War Black Ghetto and The Comix Reader. With photographer and digital media artist Richard Tomlinson, Craig is also the co-founder of skip-rat designs, latterly skipratmedia. He is currently External Examiner for Wolverhampton University, School of Visual Communication Graphic Design.